Are you still using GParted to repartition Windows Server 2003, 2008, 2012 R2? If so, you are out of date. Now the popular partition software is AOMEI Partition Assistant. This article is about why it takes the place of GParted repartition Windows Server. Windows Server is the most popular server operating system. Many people use Windows Server to do their business nowadays. From Windows Server 2003 to the latest Windows Server 2012, These Microsoft server platform become more and more stability and security. Their functions also have been improved very much. For example, you could not shrink or expand a partition with Windows built-in disk management on Windows Server 2003, but Windows Server 2008 and Windows Server 2012 enable you to do these with the updated Windows disk manager. Although upgraded Windows disk tool has been enhanced quite a lot, it still has many limitations. Because Microsoft Windows Server is only a platform and it can’t do every thing. It is well-known that with the usage of computer, your partition will be full one day, especially the system partition. Then your computer processing speed will be slowed and the system may be crashed. 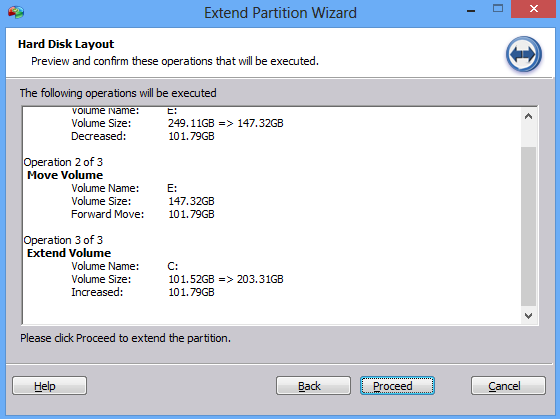 The most reasonable solution is resizing/extending system partition. If you think you can enlarge system partition on Windows Server 2008 or 2012 with Windows disk too, you are wrong. 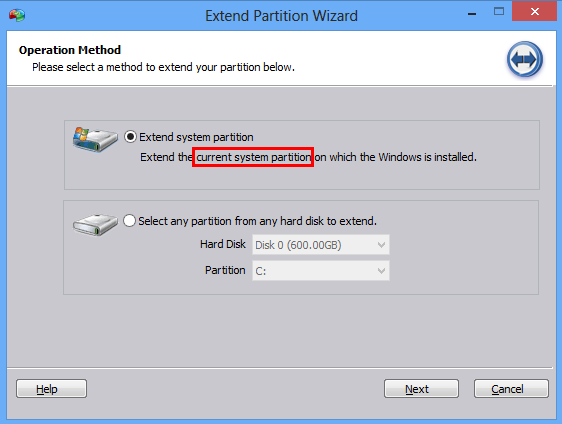 To extend system partition, there must be an unallocated space behind system partition. In fact, there in no in common sense. If you want to create an unallocated volume, then move it behind the system partition, that may cause data loss. Good news is you can try GParted to repartition Windows server. It is an open-source alternative: Gnome Partition Editor, which is licensed under the GNU General Public License (GPL). You can download it from many famous software website. GParted works great with RAID and NTFS partitions. Note that because GParted is an open-source program, you use it at your own risk. Therefore, it’s important that you create a good back up before you run GParted. Failure during repartitioning could cripple the whole server. Many geeks like this free solution. To use GParted, you must first download the CD Image file (.iso file) of GParted Live for this program. There are many instructions on where to find and how to burn the GParted ISO file, so I ignore them here. Notice that during the time that the GParted ISO is mounted you will be booted into this live CD rather than your normal operating system, basically meaning that during this process there will be down time from normal server operations. I also remind you that have a basic understanding of computers and are comfortable with using system management tools. Also, a basic understanding of the terminology is required. If you just want to resize Windows Server partition quickly and don’t want to know much about partition and so on. GParted isn’t a good choice. Instead, I think you’d better find another third-party server partition software takes the place of GParted repartition Windows Server. Here, I recommend you try AOMEI Partition Assistant Server Edition, which supports all Windows Server editions: Windows Server 2003(R2), Windows Server 2008(R2) and Windows Server 2012(R2). It has no limitations like Windows built-in disk manager and easy to use as some commercial solutions. 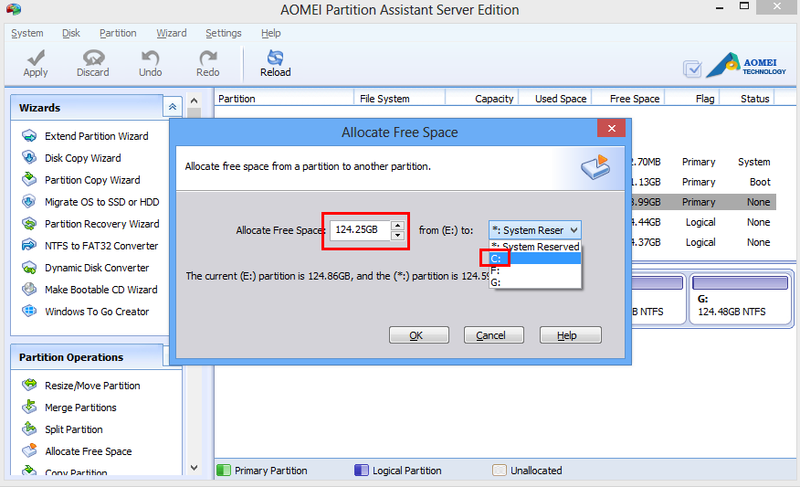 Next I will show you how to use AOMEI Partition Assistant Server Edition to repartition Windows Server. Because Windows Server 2012 is the newest server version, system partition is the most often needed to resize, so I take how to resize/extend system partition on Windows Server 2012 with AOMEI Partition Assistant Server Edition as an example. Step1: Download it from AOMEI official website, install and open, you will see its interface as the following picture. 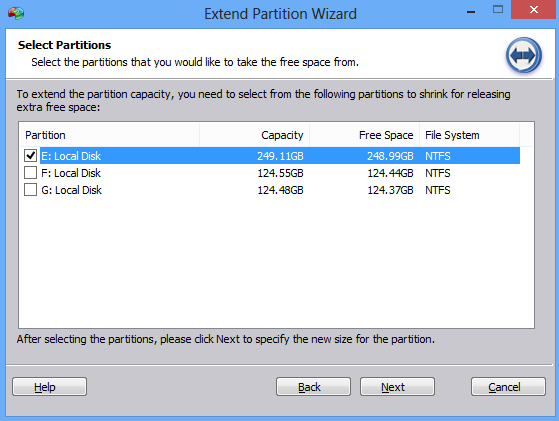 Choose the option of “Extend Partition Wizard” from the left toolbar. See picture below. 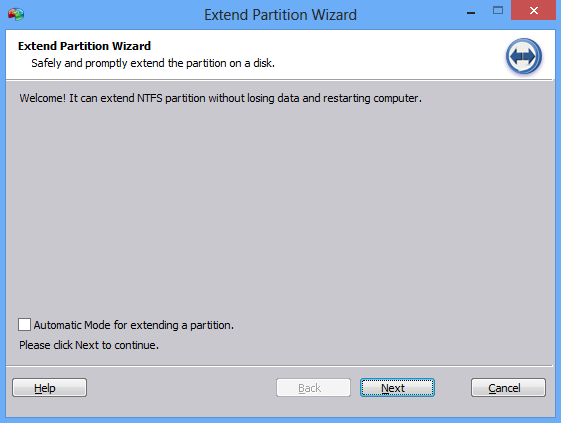 Step 2: In the pop-up window, the first method is wizard of extending system partition on Windows Server 2012. Click “Next” to go to next step. Step 3: Click “Next” to go. Step 4: Select the biggest E: partition to take the free space from. Step 5: Extend system partition by moving the slider. Step 6: All is OK, click to “Proceed” to commit the changes. Step 1: After running the program, Right click partition E and select “Allocate Free Space” option. In the pop-up window, type the value and select C: (system partition). Click “OK” to back to the main screen. Step 2: Back to the main menu, click “Apply” to proceed if you have no question. Comparing the two solutions, I think Solution B is easier. Now matter what solution you choose, only a few steps you can repartition Windows Server successfully with the help of AOMEI Partition Assistant Server Edition, and the system won’t need to reinstall or reboot, the data won’t lose. 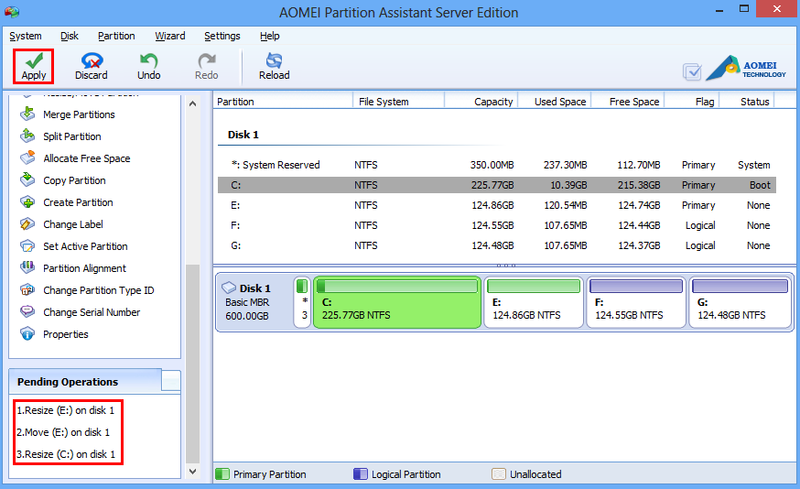 So I think AOMEI Partition Assistant Server Edition can completely replace GParted repartition Windows Server.